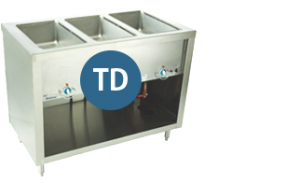 Duke's Steamtable lines are what the industry has grown to trust. No matter the scale of your operation. No matter your budget. Creating the right set-up affects productivity and essentially your bottom line, and we've spent 80+ years refining our products to meet your every need. The Duke Difference. 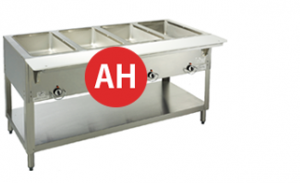 Duke has the strongest, most durable steamtable on the market. Trusted for it's trouble-free and efficient use. Flexibility and productivity are key aspects to increasing your bottom line. We offer many options and accessories to fit your needs.